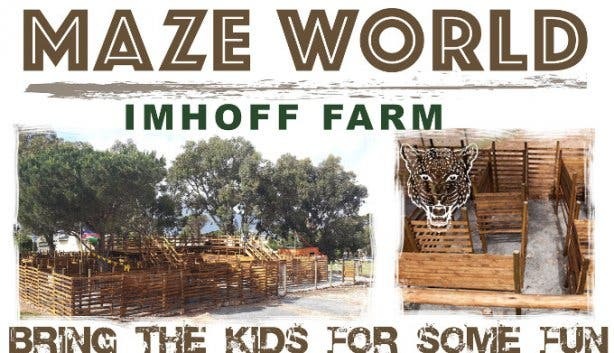 Parents looking to enjoy a day outing with their kids can make their way to Imhoff Farm in Kommetjie to enjoy its newest and most exciting installation: Maze World, an interactive 3D maze that makes sure kids have a great time, with a distinct educational touch. 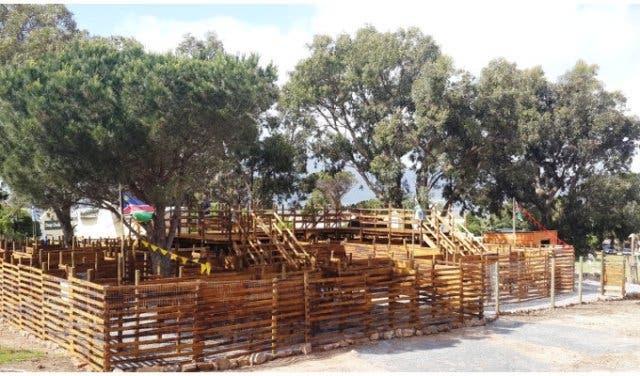 The installation was launched in November 2015 and was designed and built by a former game ranger named Ian Pletzer. It is made out of wood, boasts a double-storey section and features a unique spin that is close to Ian's heart: wildlife conservation. 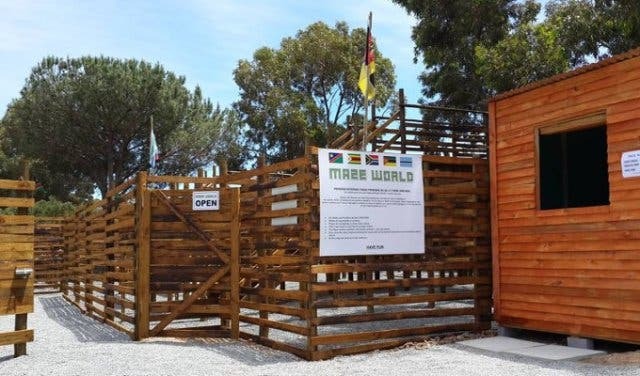 “How it works is that participants will start in the courtyard of the maze and work their way through the different flags of Southern African countries and solve animal-related riddles as fast as they can to complete the maze,” explains Ian. Each corner of the maze sheds light on conservational issues in Namibia, Botswana, Zambia and Mozambique. Participants are made to feel like rangers travelling through the different countries, learning as they go along. “There is so much happening out there that people don’t know about,” says Ian. 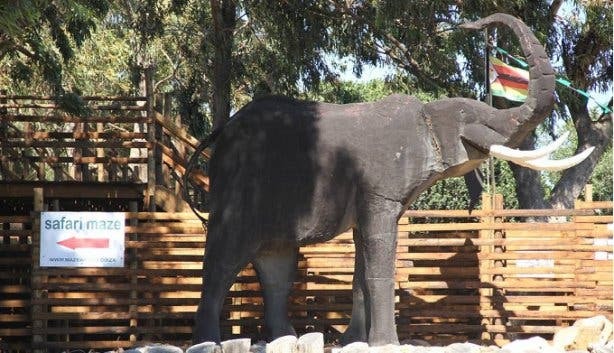 “For one, according to Love Wild Africa, there were once over 12 million elephants in Africa in the 1900s and now there are just about 350 000.” He goes on to explain that vultures are another animal on endangered species lists as they are hunted daily, and their numbers are dwindling fast. Not to be all doom and gloom, Ian adds a fun, informative and interactive quiz at the end of the maze for participants to have a bit of fun while broadening their minds and extending the scope of the entire activity. 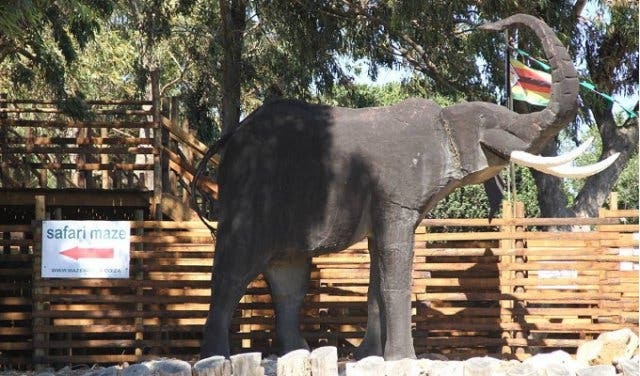 And if parents prefer to skip on the edutainment, they can choose from the almost-exhaustive list of things there is to do at Imhoff Farm. From enjoying flat whites at coffee shops to exploring the surrounding area on horseback, the establishment is an ideal spot for a fulfilling day out with the family. Although the future of wildlife in Africa is anything but clear, Maze World’s plans are crystal clear. Ian has already collaborated with organisations like Baboon Matters for educational purposes, and aims to partner with similar organisations like the Cape Leopard Trust to keep the maze’s offering fresh and exciting. He also plans to collaborate with schools around the Western Cape to conceptualise educational activities. In short, the establishment is set on making an impact in its surroundings, one maze at a time. Looking to learn more about conservation? Here’s the 411 on Panthera Africa Big Cat and Lion Sanctuary in Stanford. 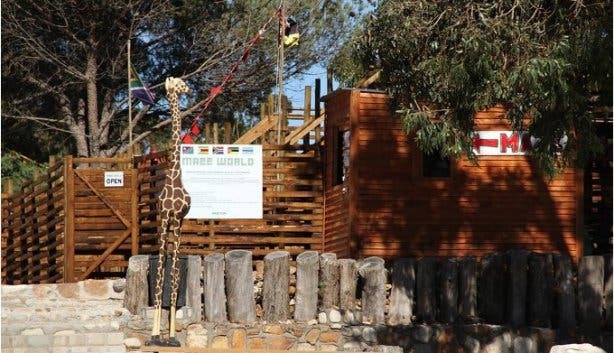 If you're on the hunt for other cool things to do with your little ones, check out our overview of Free and Cheap Things to Do with Kids in Cape Town. Check out our New Hot Spots write-up for an up-to-date overview of new places that have opened in Cape Town and surrounds. Also, don’t forget to subscribe to our newsletter and if you have a smartphone, add m.capetownmagazine.com to your home screen for quick access on the go!